If you’re new to Six Sigma, the concept is probably very confusing. This post aims to clear any uncertainties that you may have about the Six Sigma principles as a beginner. This post will help you to decide whether you should enroll in a course for an introduction to this concept, such as enrolling in a free Lean Six Sigma training. There are three levels of Six Sigma Certification – Green Belt, Black Belt and Master Black Belt – these levels all address the Six Sigma principles to a varying degree of intensity. As a beginner that is new to Six Sigma, you’ll want to enroll in a Lean Six Sigma course for a green belt training. This will not only give you an introduction to Six Sigma principles but will certify you as a Green Belt Certification and tons of career opportunities. That sounds pretty cool, doesn’t it? 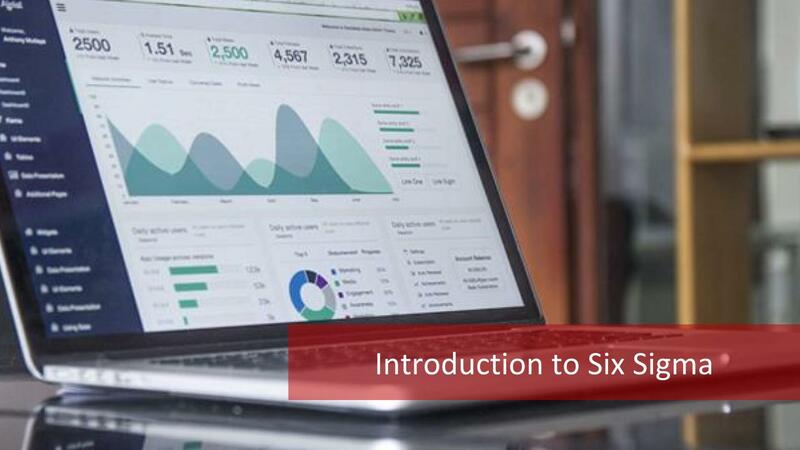 But let’s first look at an introduction to Six Sigma principles. One of the main Six Sigma principles begins by identifying the needs of the customer. These needs generally fall under the categories of timely delivery, competitive pricing, and zero-defect quality. The customer’s needs are then internalized as Performance Metrics (E.g. Cycle Time, Defect Rate, etc.) Target performance levels are established, and the company then seeks to perform around these Regarding with minimal variation. The Six Sigma principles refer to a highly disciplined process that focuses on developing and delivering near-perfect products and services consistently. It is a statistical concept that measures a process regarding defects. The term “Sigma” is used to designate the distribution about the average of any process. In Statistics, “σ” is the symbol to depict population standard deviation. The Six Sigma principles are very much based on statistics. Six Sigma is a continuous improvement process. The reason why it is referred to as a continuous improvement process is that the Six Sigma principles provide businesses a structured approach for analyzing how they are currently performing and how they can improve their processes to do the job more efficiently and effectively on an ongoing basis. Efficiency is all about productivity and effectiveness is all about the quality of your work. These concepts are strongly entrenched in the Six Sigma principles. An integral ingredient of the Six Sigma principles is a process-centric view. Before we talk more about it, let’ try to understand what it means by “A Process”. A process is a series of steps designed to produce a product or service, as specified by the customer. A process-centric view simply means understanding the combination of what and how inputs come together to produce the final output. Please note that a product is the result of a process and a process is a cause for producing a product. Let’s visualize it to help your understanding. In terms of the Six Sigma principles, man, material, machine, management, etc. create a cause. These are actually inputs for the processes. Based on these inputs, processes generate outputs. And these outputs are used feedback to improve the future outputs as well. Processes produce products or services. A common feature of any such process as shown emphasis on inputs and outputs. 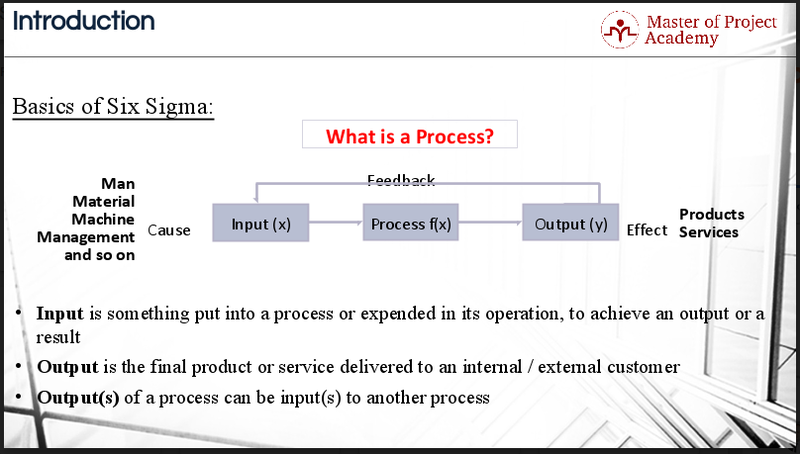 Within the realm of Six Sigma principles, an input is something put into a process or expended in its operation, to achieve an output or a result. The output is the final product or service delivered to an internal/external customer. And outputs, of a process, can be inputs to another process. Between the inputs and the outputs, there is a process that converts inputs into outputs. A process can have many steps. An inefficient process may have steps that are redundant. An ineffective process may have steps that cause the product or output to have defects. The whole point of applying the Six Sigma principles is to minimize any steps that don’t add value to the customer and to reduce defects in the final output. There can be many different processes to achieve the same result. If you ask three different people how they make coffee, you may get three different answers. These processes will vary in efficiency and effectiveness. One person may have a faster method of making coffee that doesn’t always produce the same results, and another person may have a slower method that makes better coffee more consistently. Six Sigma principles help the first person to make good coffee more consistently and the second person to make their same good quality coffee faster. 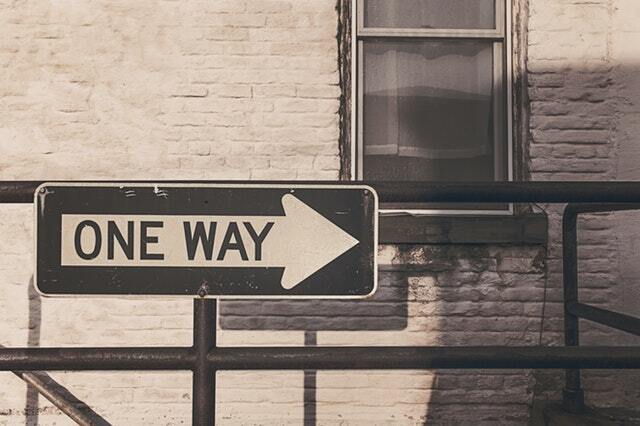 The Six Sigma principles are designed for problem-solving in a production environment, but it can just as easily be applied to a transactional environment. Consider a call center that needs to make sales. The customer, or in this case the business, may want 60% of calls to result in a sale, while the call center currently achieves a 40% sales rate. Six Sigma principles can be applied to determine the root cause of the problem and how to address it to get to the required target. Hopefully, this article has helped you to get a basic understanding of what the Six Sigma principles are all about. In a nutshell, it is a problem-solving method designed to bring consistent value to the customer with maximum efficiency and efficacy. Six Sigma can be simple or very complex, which is why there are three levels of Six Sigma training. What Is 6 Sigma and What Are Its Critical Components?